Welcome to my blog! Let me introduce myself…my name is Kimberly-Jane, but most people call me Kim. I am a 30-something busy wife and mother to 2 beautiful young ladies. I was never a fan of running when I was younger. I remember in High School when I had to “run” a timed mile, I would end up walking it with my friends instead. I have always enjoyed working out though. I started incorporating a little bit of treadmill running into my workouts in my 20’s, but still didn’t have a passion for it. When I was 33, I ran my first 5k and I LOVED the feeling of crossing the finish line. I immediately began looking for more 5k’s to run, however my interest faded after a couple of weeks. I didn’t find myself running another 5k until the following year (same race). And then again, the following year. I would run on and off during those couple of years, but I never ran more than 3.1 miles. Then, when I was 36, I decided that I would like to run a half marathon. I remember seeing multiple facebook posts about half marathons from an old friend and decided to contact her for advise. This “old friend” became a great inspiration and motivator and is now a dear friend of mine. She helped me find a plan that would work for me and we started meeting up on our lunch breaks to get our Tues/Thurs runs in. 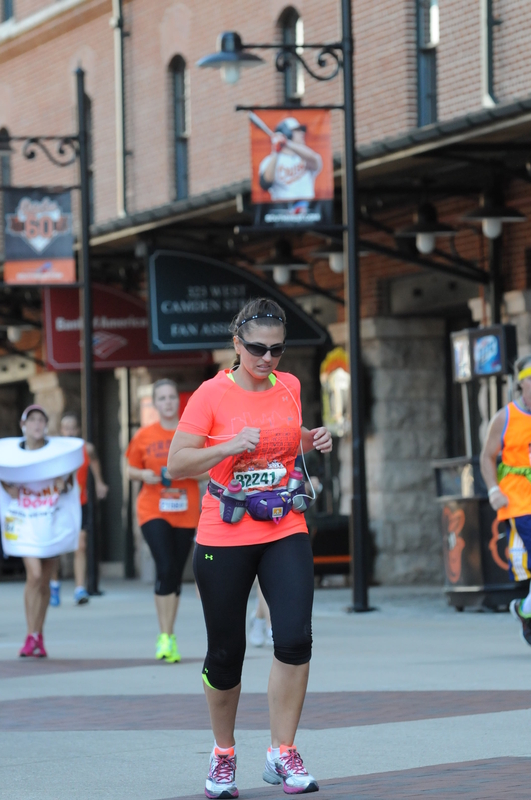 I ran my first half marathon on 4/27/14 and haven’t looked back since. Just before my 37th birthday, I ran my first full marathon. During this journey, I was able to convince my best friend to start running with me as well and we continue to enjoy (actually more of a love/hate relationship) our runs together. My husband is a runner as well. He has always enjoyed running, but I convinced him to start running longer distances and signing up for races with me. That’s my running journey so far in a nut shell. While this is the main cast of characters in my personal running story, I have also met a lot of other people in the running community who have motivated me. I also have to give a shot out to my mother (aka “Maw Maw” to the grandkids), who began running in her 60’s and my sister, Becky, who has fought illness/injury and still continues her running journey. Kim you are definitely an inspiration and are doing great. You look Great and are setting a Great example for your Family!! You should be really proud of Yourself ☺😊!! !